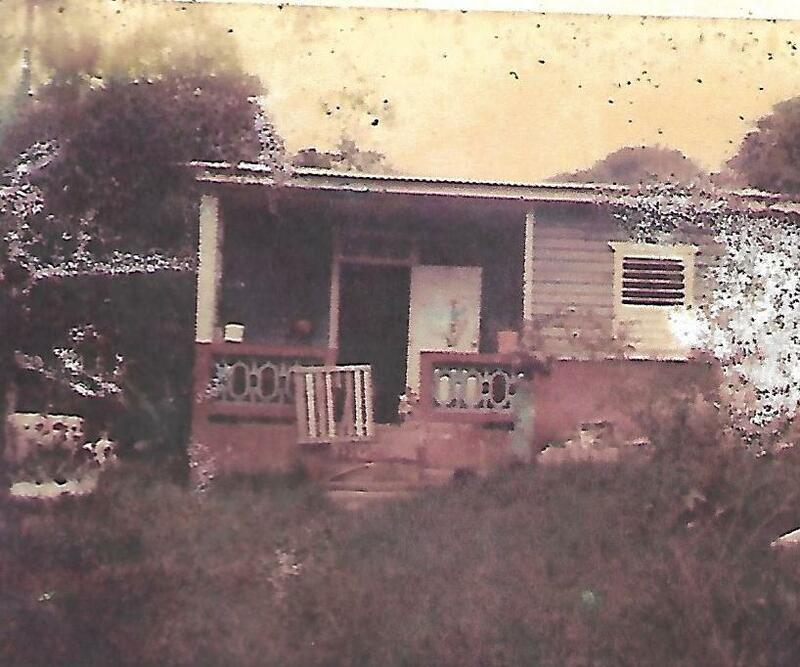 I came to Puerto Rico in 1984 to put an addition on the “vacation” house I bought with my sister. 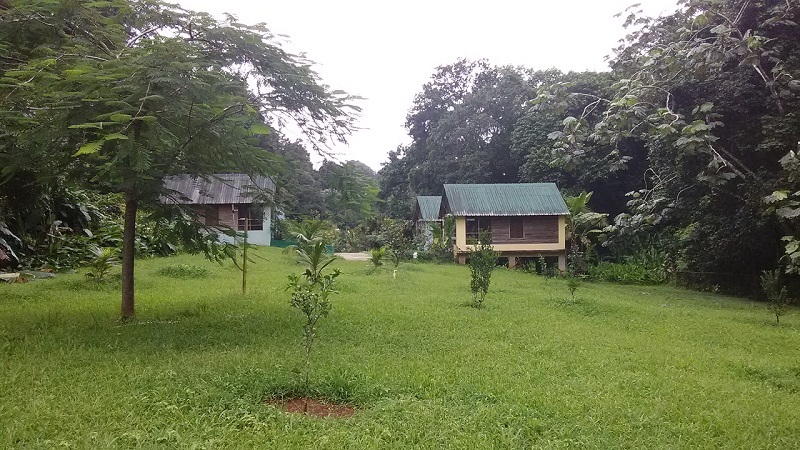 Centrally located in the mountains between Arecibo and Utuado, the 41-acre site is tucked between the Karst limestone mountains two miles up a steep curvy hill from Lago Dos Bocas. Thirty-four years is a long time to carve a place in the jungle and soon my vacation house became TJ Ranch, home to me and my partner, Tony, and our two children, TJ and Tina. Tony left the beach area and the restaurant world to come to the mountains and become a farmer. 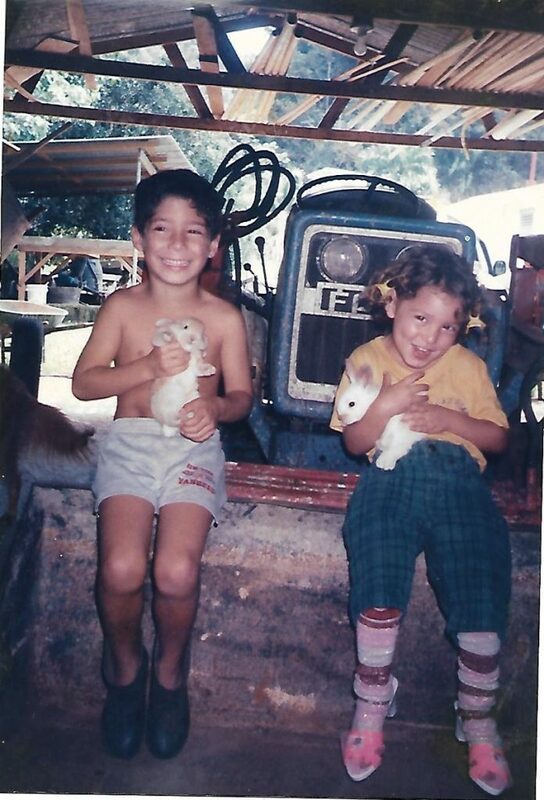 We had dogs and even a horse, and raised farm animals: goats, chickens, rabbits and pigs…we planted citrus and coffee. 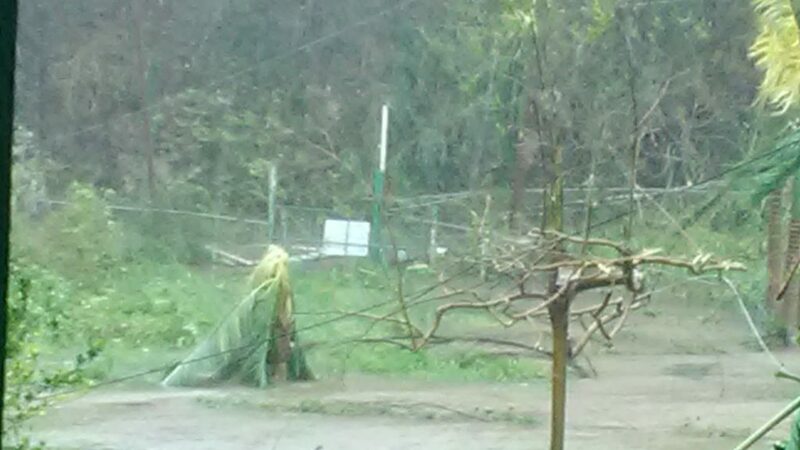 In 1990 Hurricane Hugo blew through bending our recently planted coffee. All 1500 seedlings had to be staked. Although not much physical damage, Hugo also taught us the need for a generator. With a full freezer, Tony ran with coolers to bring his relatives our freshly butchered meat. 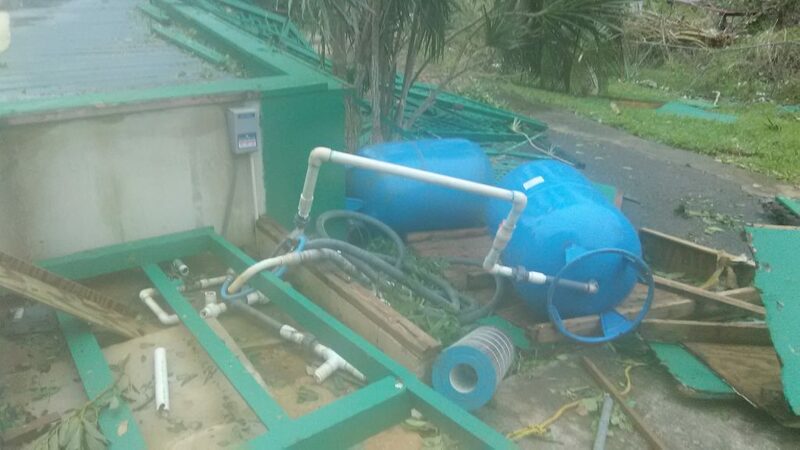 I’m not sure how long the electricity was out, but we bought our China Diesel generator soon after the storm and it finally died during Hurricane Maria. People would sleep in the loft in the house and later at a guest house off of the garage. Tony would cook and they’d eat at our table. Slowly this became our business. We had a cottage, a camping area and a pool and that’s how it started. In 1998 Hurricane Georges showed us what a hurricane was. I had always been somewhat secure knowing we had a generator and a well…light and water…what could go wrong? 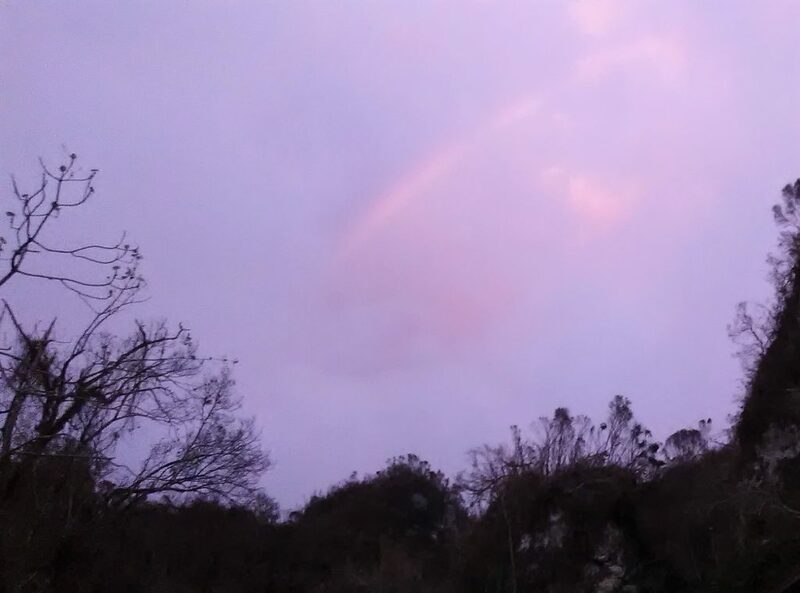 We were prepared: we had our own Noah's Arc in the livingroom, cages of animals and birds and had let the horse out of the stable only to have him come to the balcón looking at us as if wondering what he was supposed to do. Aren't animals supposed to sense these things? As water poured out our ceiling fans, I wasn’t so cocky. Half of our roof was gone, tearing off the pool’s solar hot water panels, leaking water through the plywood underlayment. Our light pole fell…fortunately away from the house and we were without power for about a month. Our trusty China Diesel served us well until we started it up with a full load and had to do some major repairs. Trees came down on our pool fence and our camping area was loaded with debris. The mountains were defoliated and so white they could’ve been the screen of a drive in movie. The neighbors cleared the road but I don’t think we were ever scared we would be stuck, unable to get down the mountain. 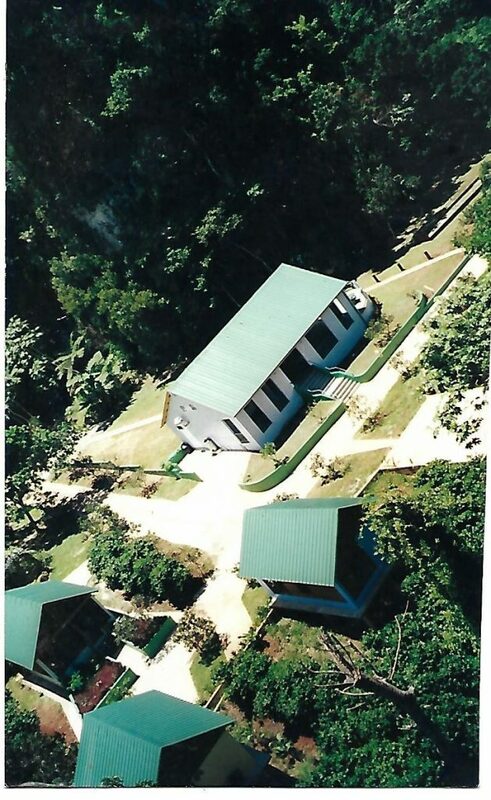 Aerial shot of the main house and three casitas / guest houses. In 2000 we started construction for a “real” guest house…three cottages and an open air restaurant. We were often asked, “What do you do when it rains?” Well…things get wet, especially if it’s blowing; but tropical rains usually don’t last too long and we’re lucky that we could usually accommodate our guests by moving tables or waiting til the rain stopped. Designed to be typical “casitas del campo,” the cottages were mostly wood with metal roofs and screened porches. We opened in 2001 and for the next 16 years, we entertained guests from all over the world. We were a haven for bird watchers who almost always could spot the PR screech owl and other endemics. Our “busy season” was January through March so we usually didn’t have guests in September, but this year we had three “friend/guests” visiting. A good friend, for over thirty years, had been planning to bring her Puerto Rican ex-husband, a stroke victim, to Puerto Rico as well as her boyfriend. Her ex hadn’t been here in years and she had promised him. The three get along well and were looking forward to the trip. They heard the forecast but knew that Irma had passed by and thought that they’d be safe tucked between the mountains at TJ Ranch. 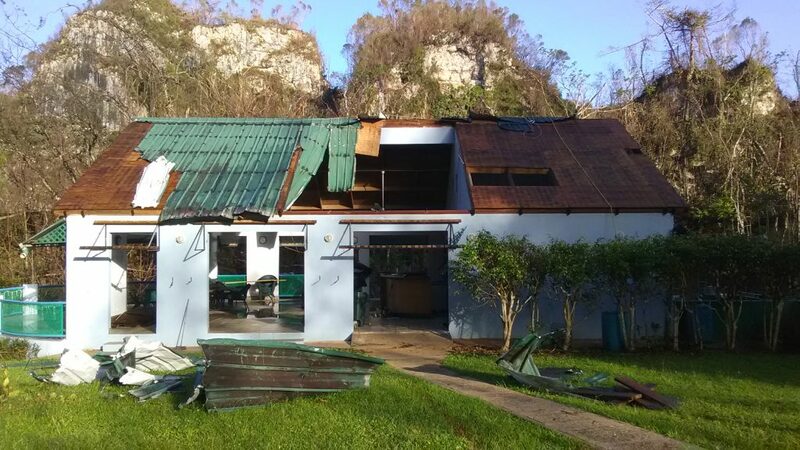 We’ve had many hurricane scares over the years and they usually pass by…in fact we had never experienced one since we had “the business.” The restaurant and all the casitas had roof cables which had been recently replaced so we thought we were prepared. The big decision before every hurricane warning is whether we’re going to pack up all the things in the open air restaurant. We wrap glasses, put away knick-knacks, store books and magazines, stack and tie tables and chairs and then prepare the casitas, onto the pool where we throw the furniture into the pool to sink or float and not fly around. Then we have to collect everything around the house, patio, garage, etc. etc. It’s a chore and we did it for Irma. 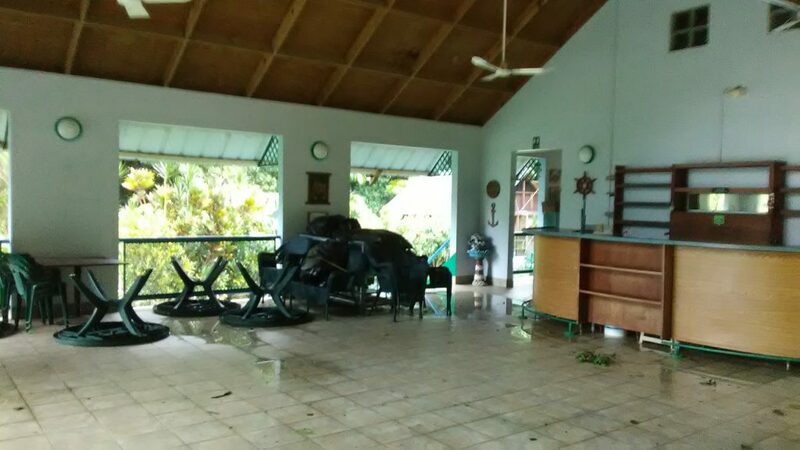 Cleanup in the main dining room after Hurricane Irma two weeks before Maria. Irma was on the 7th, and we had water and leaves in the restaurant, lots of leaves in the pool and lattice from the pool blew out of the fence, but everything else was pretty much intact…so we cleaned up and got ready for our friends to visit. Reluctant to pack up again for Maria, we finally decided that we had to. I walked around and took a lot of pictures of “before”…just in case. We had gotten gas tanks for our stoves and we had some diesel, but never imagined how much diesel we would actually need. We had a second generator for the business which wasn’t working because we needed a part and still hadn't found where to get it. Our friends came on the 17th and were planning to stay a week. They stayed three weeks. They stayed two nights in their casitas, left their carry-on bags piled on the bed in one of the casitas and moved to our living room where they camped out with the kids and 4 dogs. I’m not even sure when Maria started and stopped, although most of it seemed to be during the day, which is much better than at night. Rain was blowing in through the metal jalousie windows and I was scared the windows were going to blow into the house. We screwed a shower curtain over one set and used towels to soak up the gaps in the doors and other windows. Peeking outside our windows during Hurricane Maria's wrath. We peeked out and saw metal roofs flying around and we had a lake in the driveway. Tina ran to the guest room to get a cat that was there (which she left in there to keep it apart from the dogs) and then we were on constant animal watch. Our outside cat seemed to make it through the storm and didn’t appear for quite a while, but eventually returned days later. When we left the house, we were in shock. TJ Ranch looked like a war zone. Although the house that had lost its roof during Georges was in one piece, not much else was. Our tool room’s wall…what we call our Home Depot, was blown out and tools were all over the place. The bathroom roof of our guestroom off the garage (where the cat had been staying) was gone and the room was flooding. Our “bedroom house,” the original house I bought with my sister, survived the storm except for a couple of roof sheets on the bathroom where we put up a patio umbrella for a quick fix. 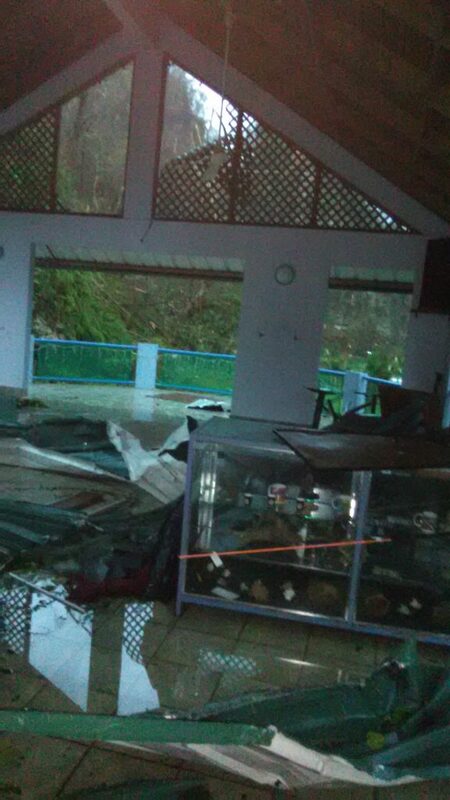 The restauant / main dining area after Maria. Our treehouse fell over, the water well was torn apart, the pool lost its entire lattice fencing and the restaurant lost half its roof and had mangled ceiling fans dangling in the air. Of the three casitas, one had its roof and walls blown so that it shifted off its foundation. One casita was together with relatively little damage and the other had roof panels blown off but was repaired quickly. 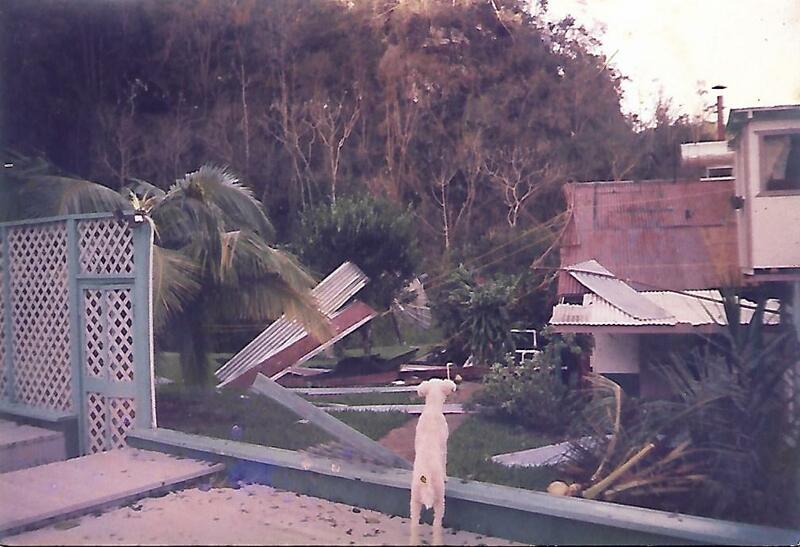 Damage to one of the casitas / guest houses. The screens were all over the place. We found sheets of the galvanized roofing on the other side of the farm…and the barn was just a skeleton. It was overwhelming and hard to know where to begin. Food was an issue, but not the way it was for most people. We had a refrigerator and freezer in the business as well as in the house…which were full! For a while we were keeping food frozen in the business using a small generator shielded from the rain. Tony was chef extraordinaire making meals for our guests and meals for the family. We had conch, lobster, octopus and steaks, pork, and frozen foods in the freezer and salad stuff, mayonnaise, mustard, salad dressings in the refrigerator…multiplied by two. We ate well…very well……..but it was very stressful. Finally, the business freezer gave out and we were running with food to the house, stuffing the refrigerator’s freezer in the house and crossing our fingers. We were using our generator more than we probably should have, due to our food situation, but soon we would find out about diesel shortages and had to cut down on usage. We were lucky that our DISH TV was working and so was my Hughesnet internet…because we could stay informed, communicate with friends and family and be entertained. Three days after the storm two friends showed up and it was as if the cavalry had arrived. Tearfully we greeted the guys and asked a million questions. Getting in and out of TJ Ranch. They had left their motor bike on the other side of the lake and walked through thigh deep mud to get to the dam. On the other side of the dam, our hill, there was another landslide and they crossed through more mud. A 10-minute drive took them 6 hours to walk. Emmanuel and Tina took wet mattresses and box springs out to dry in the sun and kept an eye on them to move them in again when it started to rain. We had an expedition to check on Tina’s house and continue up the road to check on an elderly couple on the top of the hill. Tina’s house was okay and continued up the hill where the sliding glass doors had blown inside the house in spite of having electric storm shutters “protecting them.” We cleaned up the glass and said we’d be back often to check on them and help get debris out of their pool. Since I had internet, TJ Ranch became an internet café. Neighbors I hadn’t seen for years came with their children all grown up. If there was smoke, meaning the generator was on, they were welcome to come and connect. A friend in the states called Hughesnet and told them my situation and they gave me more megabytes than customary. This was one of the positive points of the storm….the community coming together. 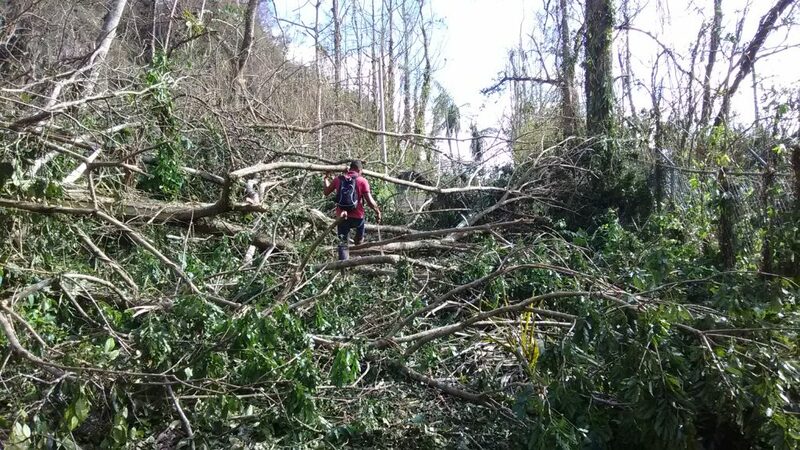 After eight days, we could get down the mountain and by then the other main road had been cleared. About a week later our friends could finally get to San Juan and back to New York City. Three days later, the smoke no longer rose; we lit candles and solar lights….our generator had died. We still had the little gas generator which could run the refrigerator but we had no water. When we did have water, we were wise enough to fill coolers and things…and we collected rain water…so for a while we were ok. Living in the country it’s easy to bathe outside with a watering can. We could even heat the water on our stove. I wouldn’t want to do it for long, but it was actually fun to do at first. I didn’t have to get to a job; I didn’t have little kids to get to school or entertain and I don’t need nice clothes for anything….so being a frontier woman was somewhat invigorating (except for my back). I never got the hang of hand washing….imagine jeans and towels……….the kids said my clothes came out “abombao”..stinky from soaking too long. My heart went out to those who lived in “urbanizations," air-conditioned houses set side by side…….trying to stay cool, bathe, get food prepared, dealing with family and listening to generators all the time. Cash……..I always wondered what they meant by getting cash before a storm. If TJ hadn’t recently returned with cash from a job stateside, we would’ve been up that creek without a paddle. We needed cash at stores, at gas stations…everywhere. Weeks after the storm, we bought a generator at Home Depot where they “sometimes” had their system working. Without cash, we wouldn’t have been able to get it. Communications were down, banks were closed, ATMs didn’t work….traffic lights didn’t work (and still don’t). The lack of diesel and lines at gas stations lasted awhile. Tina had to go to work at an animal shelter (that’s another story in itself), so she would take some gas containers. Our neighbor who worked in San Juan seemed to know the gas stations where there was diesel and brought us some. That seems like a long time ago…six months is a long time……there are no more lines, but we still didn’t have electricity. I’ve always thought about “going solar” but never really knew who to call or how to get started. Having a constant knot in my stomach, carrying the battery to the generator and hoping it started and then waiting to see if it would suddenly turn off, this was the perfect time. 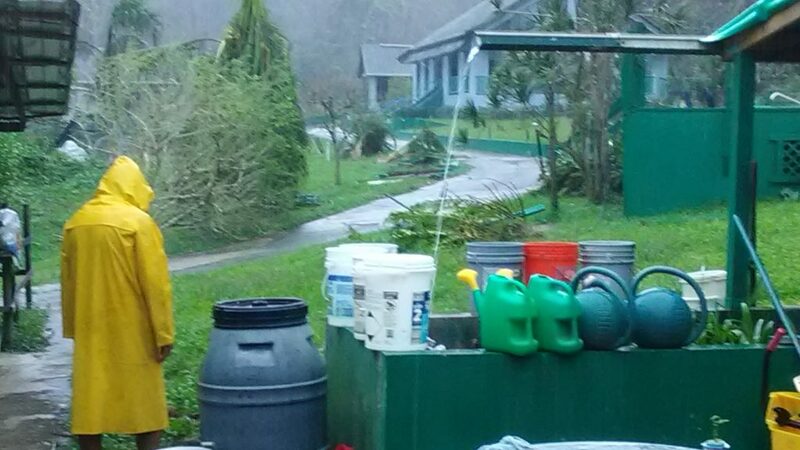 TJ knew someone who knew someone… there’s a guy in Utuado who did it all by himself….the fish guy in Islote has one. I still didn’t know what to do. Solar companies are popping up all over, but who can you trust? Finally I got lucky….not because I did intensive research or checked references thoroughly…I just got lucky. TJ’s friend said that another friend’s father “does solar”. I called him; I met him; I hired him. Today I have electricity with my solar panels. It took a while to get the panels from the states because FEMA had priority with cargo and it took a while for us to do the sitework because we needed sand and gravel delivered and trucks weren’t coming up our hill, but it finally worked out. It’s a major investment….but so is a car…….and this will last a lot longer than my car. It’s a great relief and I feel extremely fortunate. I wish more people could do it…I wish everyone could do. People have been extremely generous and concerned about our situation. We heard from guests from all over the world asking how they could help. We received packages with clothes and food that Tina found she could distribute. I received checks from friends and donations in my name to charities in Puerto Rico. People offered their vacation homes, if we needed to get away…others asked if I was moving back to the states. My sister tried to get me a generator in Massachusetts. and found out that the New England Home Depots were out of them. My friend in Maryland sent us two generators which the mailman delivered right to my door. If you live deep in the country, you'll know just how significant this is. After Hugo, all I could see were blue tarps everywhere. I don’t know how they got them, but the only thing I really needed were tarps…huge tarps. Food and water came to the area, first by helicopter, then by trucks…but not for weeks. One would be dead by the time it arrived if water hadn’t been available in streams, etc. 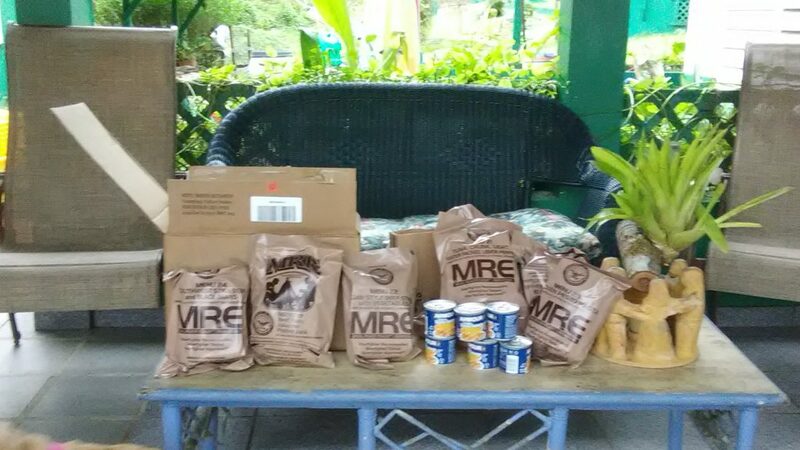 Meals Ready Made (MRE)s were slow to get to us and those who really needed them. The MRE food delivered was new to us. Add a bit of water and by some chemical process, the food heats up (a lot). Tina took some to work where there was no kitchen facility or restaurants working in the area. The peanut butter, jelly and crackers were the best…but there were real meals: pesto pasta, teriyaki chicken, Mexican black bean stew…very salty but made to last 25 years. We didn’t need the food and I felt kind of guilty, but we were in the designated area and we’d give it out to other people we’d see. Boxes and boxes of water were distributed… Although maybe not right at the moment, but there has never been mention about where those bottles went or where to recycle them. Puerto Rico is overloaded with politicians: senators, representatives, mayors and years ago it voted to have one legislative body and divide the country in 4 or 5 areas…nothing happened. Partisan politics, nepotism are all ingrained in the bureaucracy here..as well as everywhere else. Banana republics are not just where bananas grow. It used to be networking; now it’s payoffs. A disaster will certainly bring this to the forefront as was shown PR’s bogus contracts. For years I’ve heard how PR waits for disasters so that FEMA can fix things that Puerto Rico can’t. Maintenance of infrastructure is not Puerto Rico’s strong point with trees entangled in wires and water leaks: but that’s true in many other places. I’ve heard that FEMA has done a fabulous job on a bridge in Utuado, but there are just as many stories of FEMA workers and administrators milking the system. Tony was born in 1950 in New York City where all of his relatives had moved. I assume some people stayed in Puerto Rico during this time. Now there’s another exodus, for good reason. It was very hard to earn a decent living before Maria and now it’s hard to just live. This is the 21st century and electricity and water should not be luxuries. I moved here in 1984 and was “incommunicado” for so many years that I’m beginning to think returning to that simpler life may not be such a bad idea. Everything has changed. We still haven’t received our insurance check although after filing a complaint with the Insurance Commissioner, I think the check will be forthcoming. We plan to fix the roofs and get the kitchen back in working order; Tony misses his kitchen….but then what? We’re 66 and 67….retirement age. Can we manage the upkeep at TJ Ranch? Can we ever get away? What are we going to do with this place? I can’t answer any of these questions, but I think it will all work out. I like living here….now we have three guestrooms. I find that if I don’t panic, things tend to work out. Tony is more anxious. I think he’s suffering PTSD. He has ideas, but he doesn’t have the physical energy he had when he built this place. One minute he says to sell it and the next minute he says he wants to die here. The kids are around, but any idea they may have with what to do with TJ Ranch, they have to do on their own…without our interference. No one is supposed to make tough decisions in time of stress. I’m an optimist and will wait and see what happens. If you’d like to see TJ Ranch before Maria, please visit our website at: www.tjranch.com. 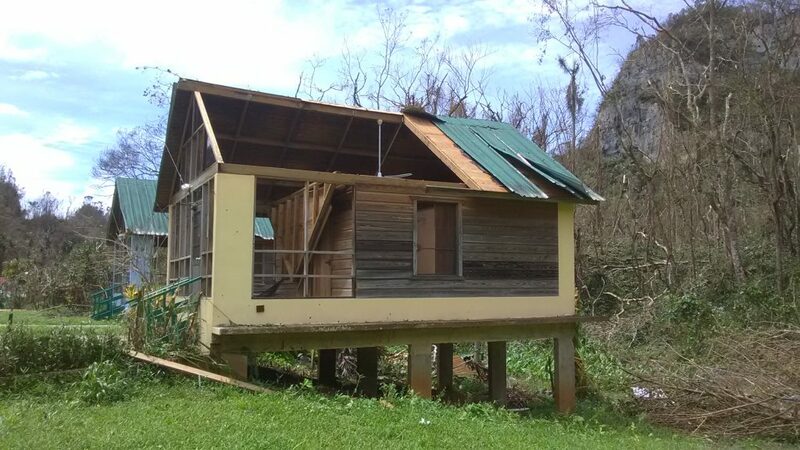 The Facebook link can connect you to our Facebook page where I still post information about TJ Ranch and Puerto Rico in general. I dedicate this to Puerto Rico.